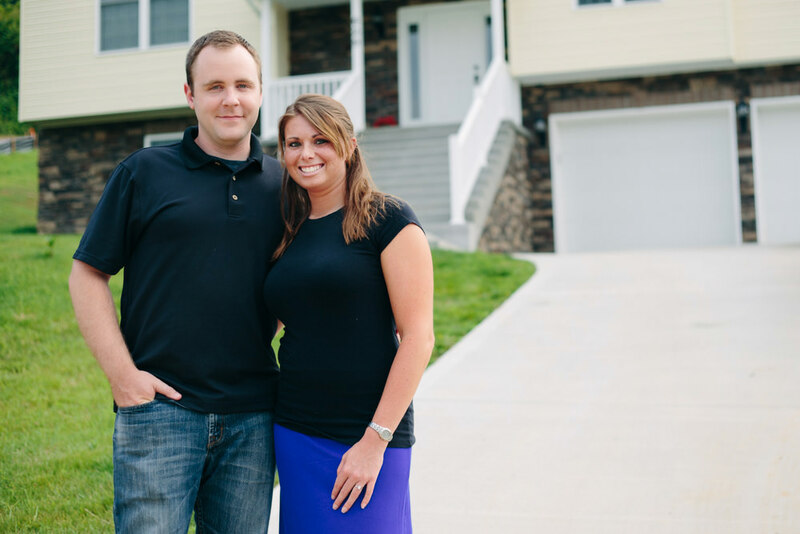 Working in Clarksburg, WV, and in Pittsburgh, PA, respectively, Heather and Rob needed to decide on a location before buying a new home. They settled on somewhere in the middle. Morgantown, WV was a place that brought them many memories—their first time meeting and their college years. The couple hadn’t been in touch with the Morgantown area for a brief period, so they began their home buying process by researching on their own. After months of looking at homes online and in magazines, they visited an open house where they met KLM REALTOR® Lori Callen. “Lori wasn’t like other REALTORS®. She gave us space to check the place out on our own, but was there if we needed anything or had any questions. We really liked that,” Heather says. Heather and Rob were looking to buy their very first place together, and therefore, wanted to take their time. They had looked at townhomes and many different styles of homes, but weren’t quite sold yet. Heather had her heart set on a big yard in the country, while Rob was more interested in a neighborhood. Lori helped them find the perfect compromise: a neighborhood that is in a rural area of Morgantown. The couple feels that she was honest with them about their needs and wants, but also didn’t push them into something that would not be in their best interests. The best thing about Lori Callen is that she was extremely patient with us through this long process.